With 2018 in the rearview mirror, benefits experts are looking down the road to what 2019 will bring for employers and employees. 1. Account-based health plans will create buzz. Large employers should soon be able to offer health reimbursement arrangements (HRAs) that allow employees to purchase individual coverage for themselves instead of receiving employer-sponsored group coverage. Legislative proposals have been introduced already to expand opportunities for employees to contribute to health savings accounts (HSAs). 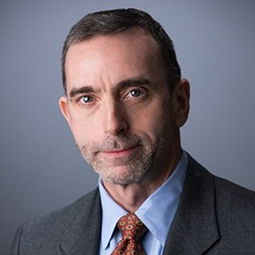 "Final rules on HRAs and congressional action on HSA expansion will create a lot of buzz in 2019, but the complexity of the rules, administrative challenges and delayed effective dates will push real change off into future years," said Wade A. Symons, national leader of the regulator resources group at HR consultancy Mercer. "There will be an increased focus on HSA education to help employees better understand their HSAs. It's the logical next step for companies that have made the move to high-deductible health plans," predicted Andy Edeburn, director of customer insights at Jellyvision, a benefits communication tech firm. 2. Direct contracting with health care providers will grow. As health care costs continue to put economic pressure on organizations and their workers, "employers' strategies will focus on improving access to better-quality and lower-cost care," said Brian Marcotte, president and CEO of the nonprofit National Business Group on Health (NBGH). More employers will contract directly with doctors and hospitals, and they'll design their plans to steer employees to health care providers that offer evidence-based, competitively priced value-based care, he predicted. 3. Employers will get family-friendly faster. State and local laws, the war for talent and changing social expectations will lead more employers to implement or enhance paid-parental-leave programs and consider adding paid caregiver leave for family-related absences, said Simon Camaj, Mercer's national practice leader for life, absence and disability. "State and local statutory paid-leave requirements may snowball in the coming years, and employers will be taking a closer look at how their leave management and time-off strategies impact productivity and compliance," he noted. With unemployment at historic lows, employers can expect that "a rapidly growing number of businesses will offer an equal share of paid parental leave to mothers and fathers," said Andy Przystanski, content marketing manager at HR tech firm Namely. He pointed to a 2018 survey by the Society for Human Resource Management that showed 29 percent of U.S. employers offered paid paternity leave in 2018— up 8 percent since 2016. 4. Voluntary benefits will become more personal. As consumer expectations continue to evolve, "employees will depend more on their employers for advice and help in understanding how to best leverage their benefits to address their specific needs," said Tim Weber, Mercer's voluntary benefits leader. Benefits offerings will become more personal, with targeted education to help employees on a "need-to-know basis," he said. "Employers will use data-driven approaches to tailor their information and guidance, all wrapped in an engaging employee experience." Marcotte added, "Today's health care consumer places a premium on simplicity, convenience and personalization. Navigators, concierge services and virtual resources will expand to help consumers take some of the complexity out of accessing care and to better anticipate and address their unique needs." "In 2019, employees will demand more from their benefits packages, and employers will need to deliver and meet multigenerational employees' needs to stay competitive in the job recruitment market," said Jon Shanahan, CEO of Businessolver, a benefits software firm. "Voluntary benefits are a way for employees to personalize their benefits to fit their lifestyle needs." 5. Emotional health will move to the forefront. Access to behavioral health services will improve in 2019, benefits specialists anticipate. "We'll see more partnerships between traditional medical and behavioral health carriers on smaller, targeted point solutions, such as telehealth counseling, and strategies to combat out-of-network utilization and costs," said Sandra Kuhn, Mercer's national lead for behavioral health consulting. "Underscoring this will be an increase in the number of organizations that step forward, with their leadership front and center, to commit to improving the conversation around and services for behavioral health." For a range of emotional, behavioral and mental health issues, including stress and anxiety, addiction, depression and other mental disorders, "employers will address the access challenge through onsite and virtual counseling, network expansion where feasible and the integration of employee assistance programs and mental health benefits," Marcotte said. 6. Benefits technology will simplify employees' decision-making. Benefits watchers expect the growth of online HR platforms for benefit enrollment and management to continue. "Until recently, many employers—especially those with fewer than 500 employees—were still using paper processes every fall," said Ryan McCostlin, team member with benefits advisory firm Bernard Health. "This is changing quickly as Millennials become influencers and employers seek out technology solutions." Online platforms typically incorporate decision-making tools for employees, McCostlin noted, which can help employees select the health plan option that's more appropriate and cost-effective for themselves and their families. "In 2019, technology will expand to benefits selection and management to help the increasingly diverse employee workforce learn, understand, and navigate the benefits process based on their specific needs," Shanahan said. These systems can also reduce HR's transactional tasks, given that "HR managers say they lose 14 hours a week due to lack of automation," he noted.